knitting with Manos - for warm weather! Here in the Northern Hemisphere, the weather is warming up- but that doesn't have to mean less knitting! Many designers and knitting-die hards have come up with great uses for Manos fibers that are appropriate for warmer conditions. For those of you who are interested in cotton blends for springtime, there is Manos del Uruguay Serena, a cotton/alpaca blend with a lot of drape and trans-seasonal wearability. Our recently-released collection of patterns for Serena is a great source of ideas for sweaters that are shorter-sleeved or perfect for layering in changing weather. Expanding our search for warm-weather knitting ideas to the internet, there are a multitude of inspiring projects to draw ideas from! The Sweet Tee by Mary Jane Mucklestone proves that with short sleeves and fresh styling, a sweater in Silk Blend is perfect for springtime, as seen here in JuneK's version: Moving away from garments, smaller projects are always a great solution for knitting in warm weather. They don't take up as much room in your lap, so they will be easy to knit no matter what the thermometer rises to, and you can get use out of their smaller sizes or unique purposes year-round. 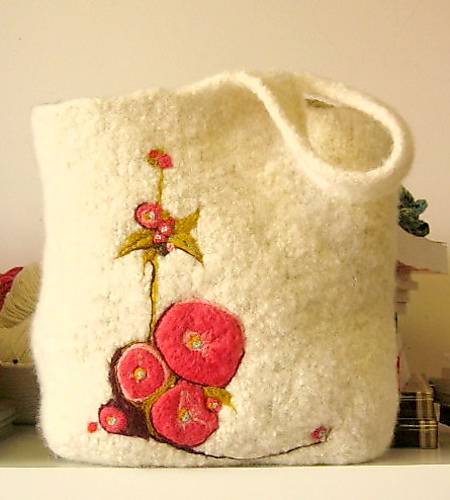 For example, an embellished bag like JustineAnne's, knitted out of Clasica and then felted, would be a great accessory for a spring- or summertime Farmer's Market: And then there is our perennial favorite, the knitted shawl. Whether you knit them small and scarf-like or large and lacey, they are a great way to accessorize or add a "just in case" layer to your warm weather outfit without adding too much extra fabric and warmth. 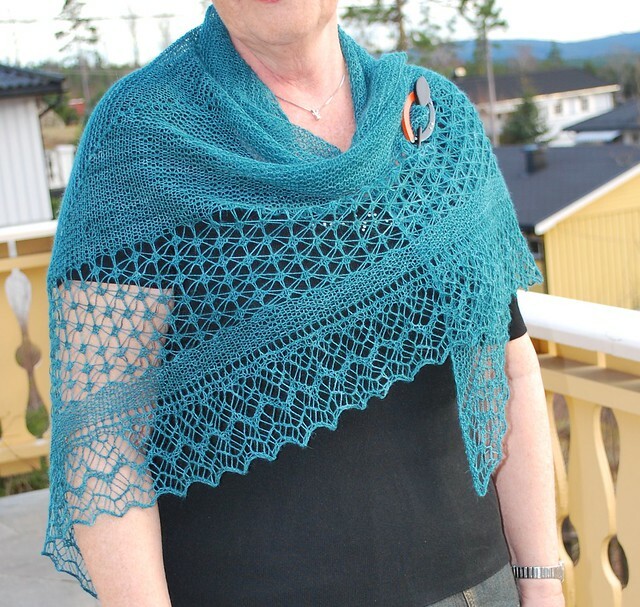 LivM's Rock Island Shawl in Manos Lace looks fabulous with a short-sleeved ensemble, and it is light and airy enough to be comfortable regardless of the temperature. Of course, one of the greatest parts about knitting shawls (in ANY season!) is the amazing variety of stitches and styles that is available in shawl patterns, both classics and new ones that are constantly being released. Do you have a favorite shawl pattern this season? I would love to hear your highlights- I'm always in the market for the next "must cast on NOW" project! Leave your shawl links (or other warm-weather knitting suggestions) in the comments!